Sigh…this is such a jerk move for the last episode. This episode isn’t an ending…it’s like the start of a next season. Now, they’re honor-bound to give another season. This is far too inconclusive. This would be more okay (still scummy, though) if the sequel were slated for next season, but I don’t even know when it could come out. Anyway, my bias aside…is younger Jun even the main character anymore? It looks like they’re doing whatever it takes to edge him out. Maybe that’s their plan…they’re gonna kill the younger Jun and substitute him! Anyway, I’m gonna avoid the cheesy “it’s only the beginning” line and end with this: This series wasn’t particularly exciting and seemed to move rather slow throughout…also the last episode is quite disappointing and shouldn’t exist (we should have just stopped at 12). Were the other seasons like this? 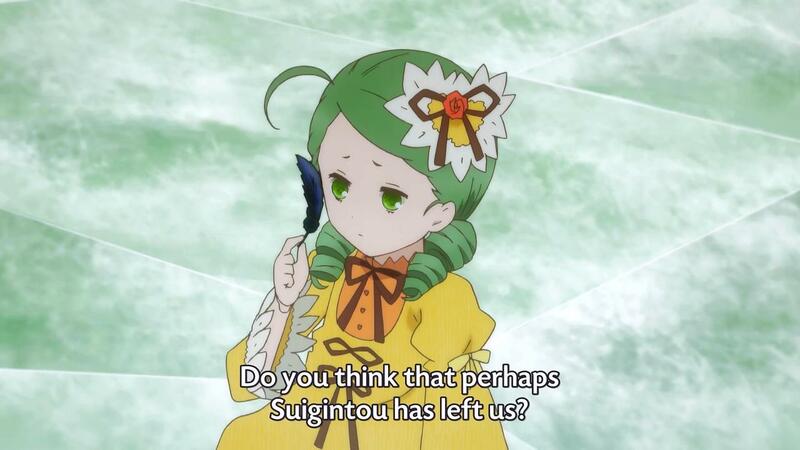 Rozen Maiden (2013) Episode 11: Wait…that’s it? Kirakishou died kinda easy…just got rejected and blew herself up. How anticlimactic. Souseiseki makes an obvious deal with Suigintou…she’s so easy to read. It’s a wonder Shinku hasn’t just beaten her yet…I am disappointed. Suiseiseki should have been suspicious of her charity as well. Author marthaurionPosted on September 14, 2013 Categories Rozen Maiden (2013)Tags anime, battle dolls, rozen maiden4 Comments on Rozen Maiden (2013) Episode 11: Wait…that’s it? So Souseiseki is back again. I was mildly impressed with Suiseiseki’s plan to free Souseiseki, but then she went and admitted that it wasn’t her plan. Sigh…me and my high hopes. Anyway, I guess now each Jun has their own doll…now they can stop fighting over Shinku, right? 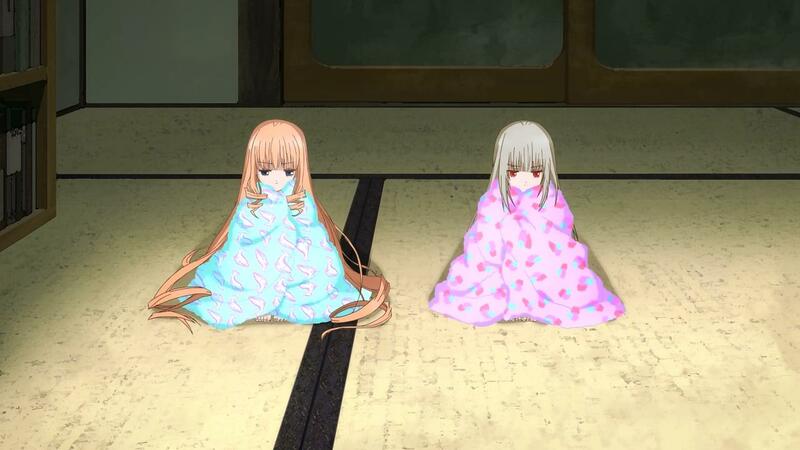 Looks like the only one missing now is the real Shinku and the younger Jun is on the case, based on the preview. Still have a few episodes remaining, so does that mean the next episode is entirely devoted to his freeing the original Shinku? Sounds…fun? Time to fight, it seems. Of course it had to be Souseiseki’s body…that’s the only one left missing a Rosa Mystica. Anyway, I guess they have to convince Suiseiseki to change her stance about protecting the body or something like that. Meanwhile, Jun just sits around being useless. I guess next week, older Jun has to make his own contract with Shinku? Looks like younger Jun will be making a move from the preview. Just how many Rozen Maiden are they going to gather for this fight? It seems like it could be the last, so maybe all of them? Friendship rainbow cannon? So the day of the play is finally here. Is it coming close to the final battle? Or is older Jun’s world about to come to the end of its role? Shinku seems to be having fun on her last day. It’s almost like she planned to be put in the play…but that couldn’t be, right? Anyway, it looks like Kirakishou may be showing up next week or something. Suigintou definitely seems to be looking forward to her arrival. I guess the whole “tricking older Jun” thing was just so she could enter this other world…not sure why she needed him to make a doll for that when Suigintou managed to get there fine. Also, I can’t help feeling like the scene where Saitou was practicing lines by herself was out-of-place somehow…does that mean it was significant? 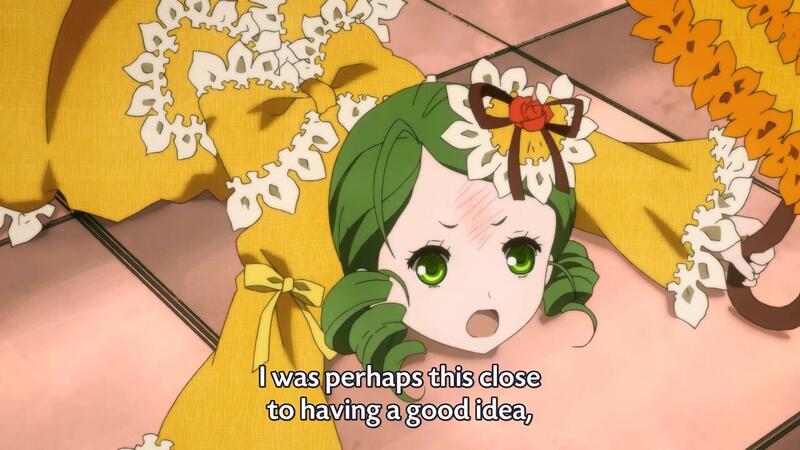 Rozen Maiden (2013) Episode 7: What could be the plot behind this? So the messages are fake after all…I knew they were too convenient. As said before, the most likely sender is Kirakishou, but I can’t quite figure out why she would need to do that. Younger Jun also introduced the possibility of the rabbit, who sent the original parts. He has the means, but what would be the motive? Why would he help the younger Jun in the first place? Anyway, next week looks like we’ll be getting back into that play for Saitou. Clearly it must be some sort of important event if it’s getting this much attention. So…who will be sacrificed on stage? You know my guess. Should be some good fun, right? Author marthaurionPosted on August 17, 2013 Categories Rozen Maiden (2013)Tags anime, battle dolls, rozen maiden2 Comments on Rozen Maiden (2013) Episode 7: What could be the plot behind this? 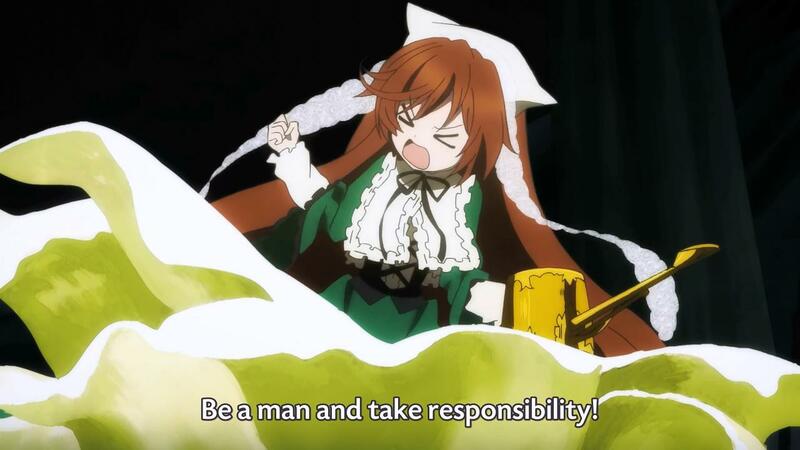 Rozen Maiden (2013) Episode 6: So do we finally have a purpose? Interesting…so the new doll series has conveniently come to give the older Jun something to do to help. And the only verification we have is from texts without a face…very suspicious. Mr. Manager is also strangely perceptive all of a sudden…wonder why that could be. Now the question becomes whether the Jun on the other side of the phone is the real one or not. If not, older Jun might be dooming his world by creating a new body for Kirakishou. Although…why would she need that if she has already taken over Hinaichigo completely? Maybe he really is creating a whole new doll…but is he making another replica or is he making a completely new doll that no one has heard of before? Author marthaurionPosted on August 10, 2013 Categories Rozen Maiden (2013)Tags anime, battle dolls, rozen maiden7 Comments on Rozen Maiden (2013) Episode 6: So do we finally have a purpose? Rozen Maiden (2013) Episode 5: Is that a backbone I see on Jun? So…Suigintou has made her entrance. Looks like she’s equally opposing Kirakishou to save some sort of love interest. We still don’t know what exactly they’re supposed to do yet, though…which is actually pretty frustrating for me. 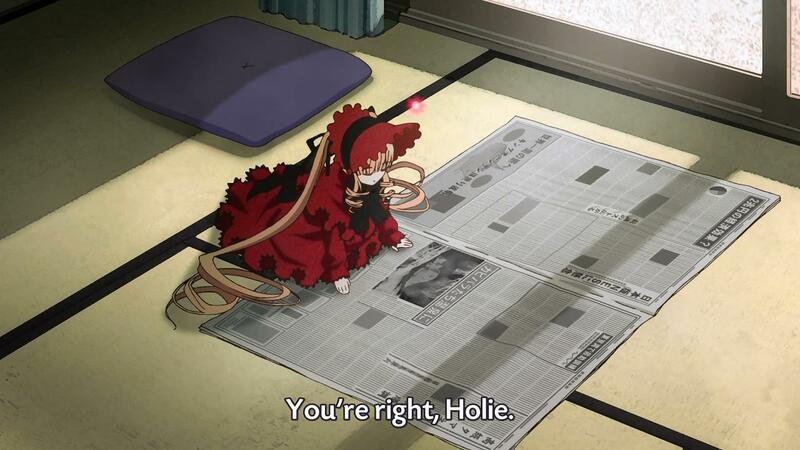 I mean, I enjoy watching Shinku get owned by a newspaper as much as the next guy, but stuff has to happen, right? Author marthaurionPosted on August 3, 2013 Categories Rozen Maiden (2013)Tags anime, battle dolls, rozen maiden4 Comments on Rozen Maiden (2013) Episode 5: Is that a backbone I see on Jun? 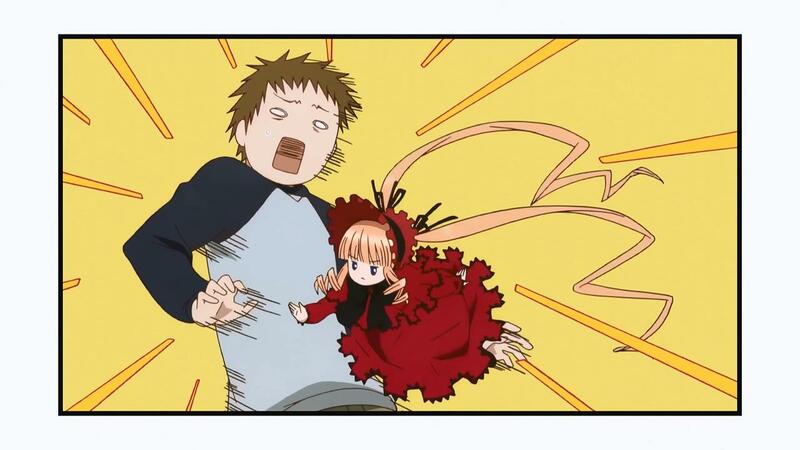 Rozen Maiden (2013) Episode 4: Nice dodge! So…he finally wound it again. Not sure why his not winding removed the Rozen Maiden from his world…was it something in the previous seasons that pointed out why he was the chosen one? But now that he’s done it…has he maybe screwed up this world? Maybe he’s leading his dimension to self-destruction! 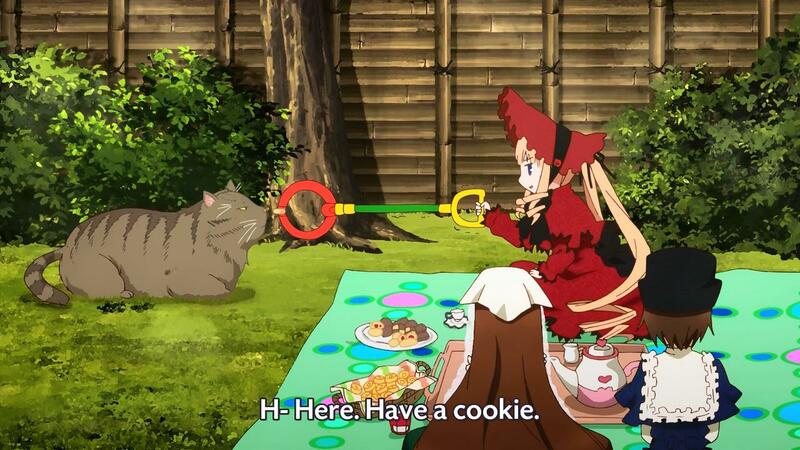 Still have no idea what Shinku’s objective is in this world. She’s clearly running out of time, but we have no real sense of what she’s doing yet. The preview shows Suigintou appearing in the new Jun’s world and apparently forming a bond with Saitou (at least I think it was her). I knew she’d be roped in somehow…but will she be sacrificed for the cause? Author marthaurionPosted on July 27, 2013 Categories Rozen Maiden (2013)Tags anime, battle dolls, rozen maiden6 Comments on Rozen Maiden (2013) Episode 4: Nice dodge!